Pearl snaps, boots, cowboy hats and denim abounded. And did I mention whiskey? Because there was plenty of it. 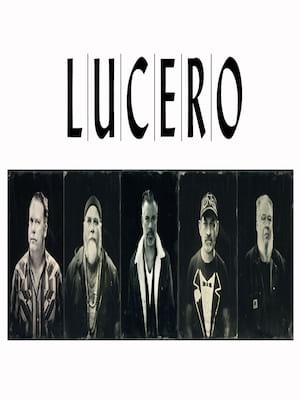 Standing at the crossroads of soul, rock and country, but putting their own distinctive Memphis spin on the heady sonic blend, American country-punk-rock pioneers Lucero formed in their native Tennessee in 1998 and have since become one of the most hard-working bands on the scene with consistent touring and releases. Don't miss the hard rocking quintet when they hit the road in support of the August 3rd release of their ninth studio album 'Among The Ghosts'. If their latest single 'For The Lonely Ones' is anything to go by, the album sees the band return on fine form, ready to whip their audiences into a whirlwind of driving drums, blues-tinged guitar riffs and even some jazzy brass, all tied together by the husky growl of frontman Ben Nichols. Singing of whiskey, rodeos, heartbreak, friendship, the good times and the bad, Nichols and his fearless outfit evoke the American west with boundless energy and visceral, emotional performances. Sound good to you? Share this page on social media and let your friends know about Lucero at Washingtons. Please note: The term Washingtons and/or Lucero as well as all associated graphics, logos, and/or other trademarks, tradenames or copyrights are the property of the Washingtons and/or Lucero and are used herein for factual descriptive purposes only. We are in no way associated with or authorized by the Washingtons and/or Lucero and neither that entity nor any of its affiliates have licensed or endorsed us to sell tickets, goods and or services in conjunction with their events.